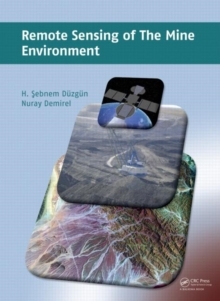 A guide for students and professionals, this introductory course book covers the basic principles of remote sensing and its applications in mine environment monitoring. Building from a reader's basic knowledge of mine monitoring, it teaches how to implement remote sensing techniques and how to interpret the acquired data for different purposes. Following a general introduction to remote sensing principles and image analysis, mine subsidence monitoring, slope stability monitoring, reclamation planning and implementation, and post-closure mine and land use analysis are explained and illustrated. With the help of case studies, the techniques and tools presented are demonstrated. With an increasing importance of sustainable mining, this accurate text is intended for the education of university students in mining, civil, geological and environmental engineering. Researchers and professionals in these disciplines may find it beneficial as well to guide their professional monitoring investigations.